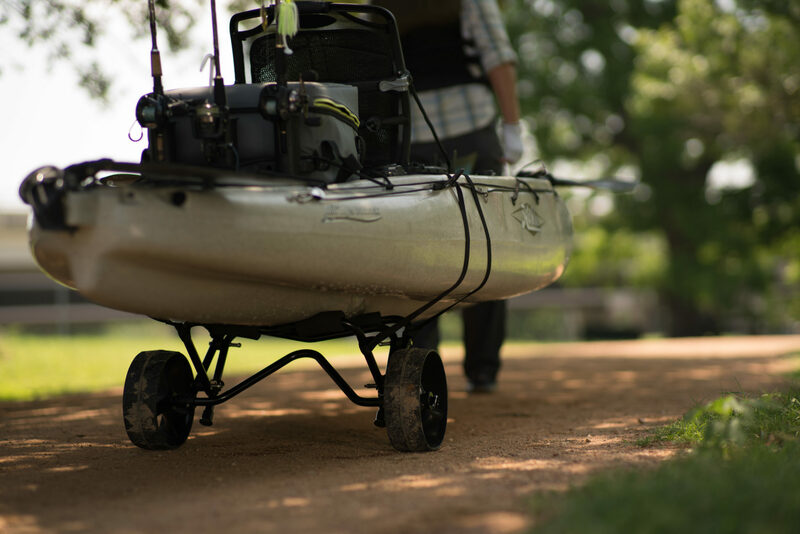 If a person is new to the sport of kayak fishing, it is reasonable to assume they want to find a kayak that maximizes benefits in areas such as functionality, reliability and safety while coming in at a price that is both reasonable and manageable. This is a Intex Explorer K2 Kayak review that is intended to point out the strengths and weaknesses of the product. Functionality should be one of the top considerations when choosing a kayak for fishing. With the Intex Explorer K2 Kayak, the product deserves decent marks in this area. The vessel is ideally suited for two individuals within a 350 lbs weight limitation. The seating area is spacious enough to allow decent freedom of movement. The inflatable seats are very comfortable and easy to adjust by simply relocating the Velcro fastening strips to the desired location. Limited time offer: Enjoy an incredible deal on Intex Explorer K2 Kayak – on sale at Amazon.com today! 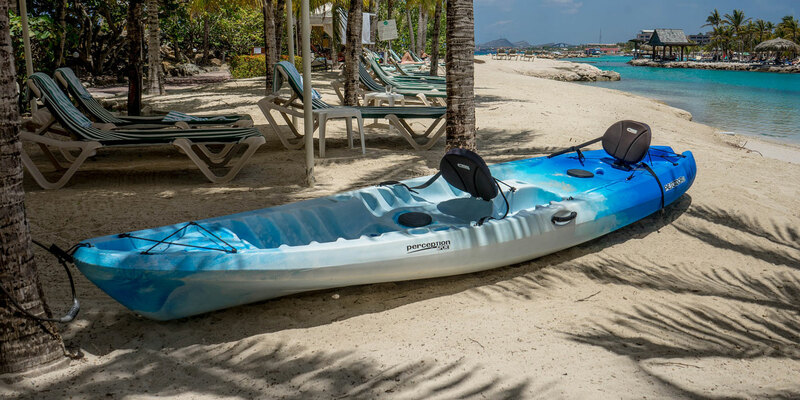 If there is a knock against this kayak it would have to be limited storage with two passengers due to a short bow that is insufficient for storage. If going solo, the extra seat can be used as storage and a counterbalance weight to improve stability. The two 96″ aluminum oars are functional, but not adjustable. Therefore, custom oars would be recommended for comfort. At the end of a long day of fishing, the vessel is easy to deflate, carry and store until the next trip out onto the water. When taking fishing trips far from civilization, reliability is a must for any reputable kayak. It all begins and ends with durability. Time and again, the 30 gauge vinyl material has shown the ability to stand up rough water conditions, rocks, hooks and the kids jumping in and out on a continual basis. While the vessel is recommended for easy flow lakes and ponds, experienced kayak enthusiasts should be just fine in rougher conditions. In what could be considered a design or manufacturing problem, the skegs have a habit of coming loose and getting lost. Since the skegs control steering, it is highly recommended that the new owner find a creative way to secure the skegs and prevent future problems. If the vessel should become punctured during used, the patch kit is easy to use and works well to get the owner back on the water in a safe vessel. If out with the family for fishing and fun, the buyer always wants to give priority to the safety of a vessel. With the Intex Explorer K2 Kayak, safety is a prominent feature. The durability of the materials help support the requisite weight in all types of water conditions. The vessel is well-balanced, which gives one a real sense of security when standing or trying to move about the kayak. The item is truly difficult to capsized without intent and should the vessel flip, the light weight allows a single individual to put it back in a upright position with little effort. The hull is deep enough to prevent taking on water in all but the worse water conditions, which eliminates the need for bailing. Also, the brilliant yellow color makes it easy to locate in difficult weather conditions. Through most online sites, the Intex Explorer K2 Kayak is available in the $100-$150 range. Due to durability and safety benefits, this represents great value, particularly for individuals who are just getting involved in the sport.